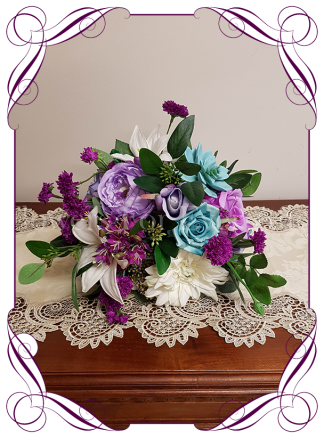 A romantic classic deep posy set that will look amazing in front of greys, navy, charcoal, blues, pinks, purples, lilac, grey/silver, and black. 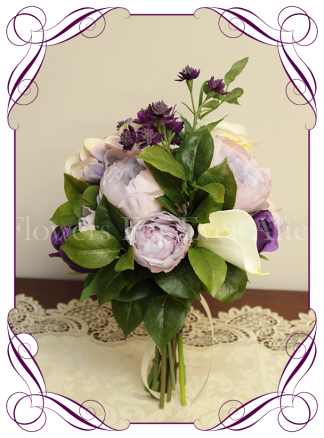 Features lilac peony, purple lisianthus, ivory roses, Cadbury purple roses and buds, mauve roses, lilac coloured lilacs, blush tipped open rose, dark purple buds, and foliage.The bouquets handle is partially wrapped in purple satin with pearled ivory lace overlay. 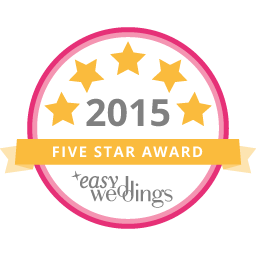 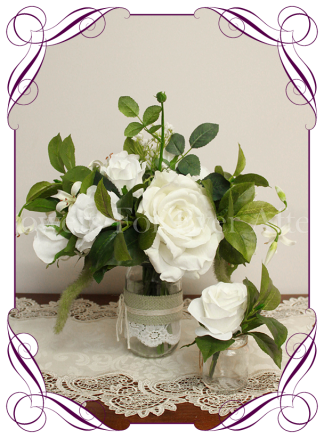 Measures approximately 25 – 26cm (10 inches) across. 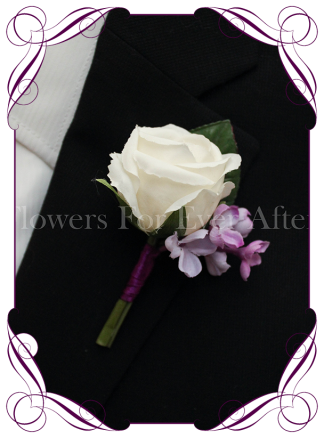 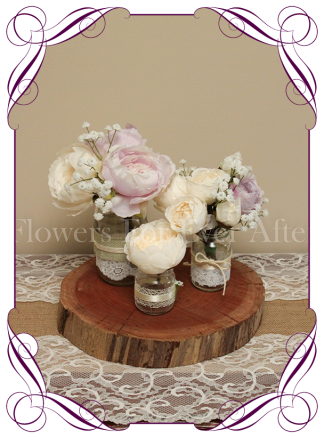 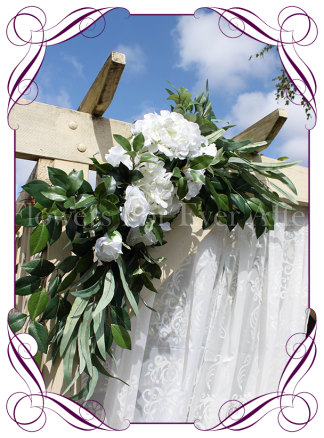 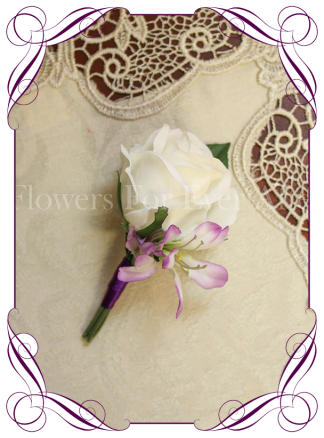 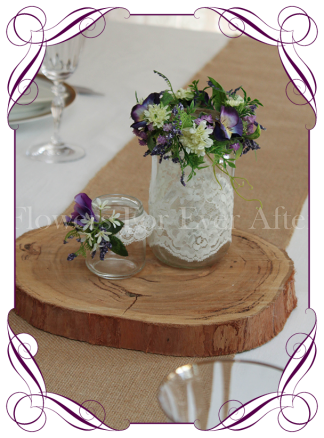 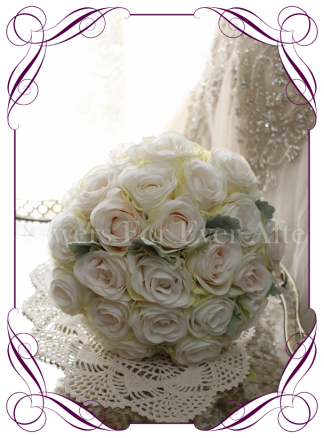 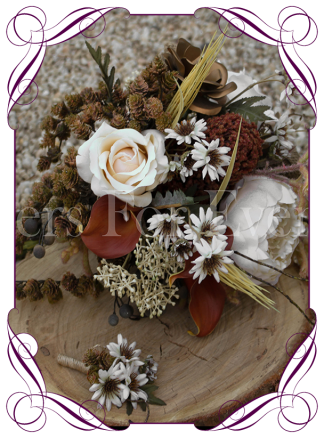 *Groom button – a white rose bud with lilacs, purple lavender, and foliage. 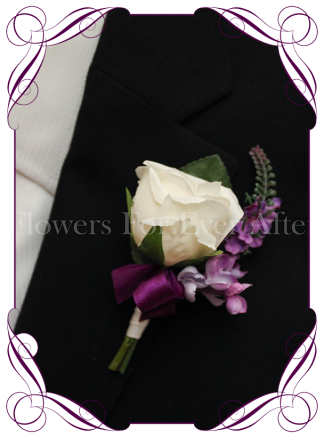 Stem wrapped in bridal white satin with a Cadbury purple tie. Corsage pin included.